Looking for a little piece of Vancouver history for your living room? Well here is this 41 year old sectional that is all party on the outside, and good as new on the inside. This massive sectional was made by Selig Simmons for the PNE prize home in 1976. While I usually don’t cover vintage items on here this particular sectional has quite the story behind it, it’s wild like the 70’s and I bet it seen more parties than you. 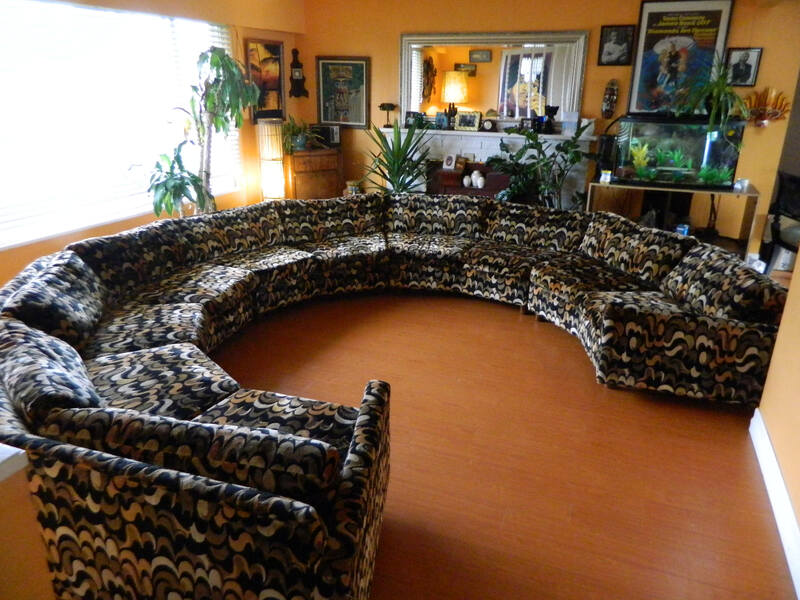 This is a mid-century style sectional sofa that is one of a kind, and it’s in Vancouver still! It breaks apart into five different pieces so you can get it in just about anywhere with ease. Each of the sections measures 78 inches long, 36 in-depth and 25 inches high. Apparently the cushions and couch itself are in pristine condition and is currently on the market for $24,926.50 CAD.